If you're a fan of the Olympics, I'm willing to bet you have all kinds of questions about the traditions behind what we see on the screen. 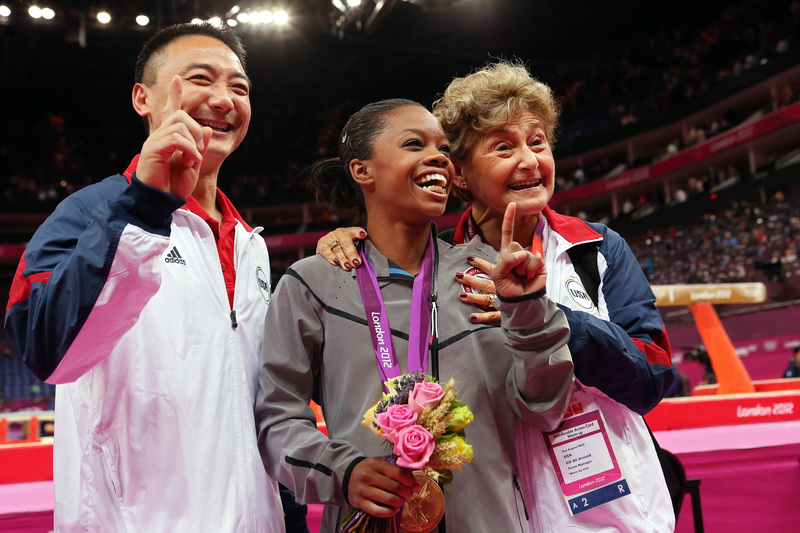 You might be wondering, for example, wh Olympic medalists receive flowers. And hey, while we're at it, why have the 2016 Rio summer Olympics started using statues instead? While this change might initially sound a little confusing, the logic behind the shift is actually based in something awesome for the environment. But before we get into the logic behind the shift from flowers to statues, let's review why Olympic athletes received flowers when they medaled to begin with. According to the New York Times, the Olympics have a long history of awarding flowers to athletes who medal along with their gold, silver, or bronze medallions. It dates back to ancient Greece, from whence the modern Olympic Games get their inspiration: Athletes competing in ancient Greece were awarded not with medals, but with wreaths of olive leaves. In the modern Games, these wreaths have been replaced by bouquets of flowers, with each bouquet bearing a particular meaning based off the "flower language" that gained popularity during the Victorian era. Although International Olympic Committee has a pretty meticulous set of qualifications and parameters for how ceremonies can go these days, they do tweak things based on the location of the Games. For example, when the Games were held in Athens, Olympians were awarded small laurel wreaths as a nod back to the ancient Games. But as Christy Nicolay, the executive producer of the victory ceremonies, explained recently to the New York Times, the flowers given to athletes are simply not sustainable. She says, "We give it to an athlete, and very often they just throw it away." This spurned their desire for an innovation that would reward athletes and help the environment. Since the Rio Games have a big focus on sustainability, according to Thrillist, it makes sense that the flowers would be replaced by something more sustainable. Flowers will eventually wilt and die; statues, however, will last forever, so that's what Olympians who medal are getting this year instead. According to NBC, the statues are 3D sculptures of the Rio 2016 logo. Personally, I think it is an awesome step for sustainability to have a place on the stage during the Olympics. Environmental issues are hugely important, but don't always get the attention and focus they desperately need. When a major global event can put the environment into its mission, it serves as a reminder and educational moment for audiences worldwide. And what are the Olympics about, if not drawing together for a common goal?